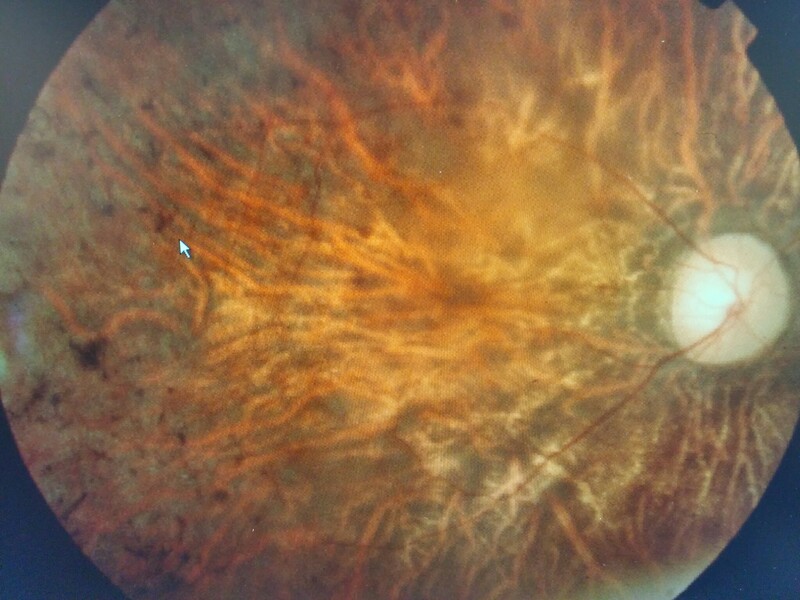 40 year old patient presents with poor vision from childhood . 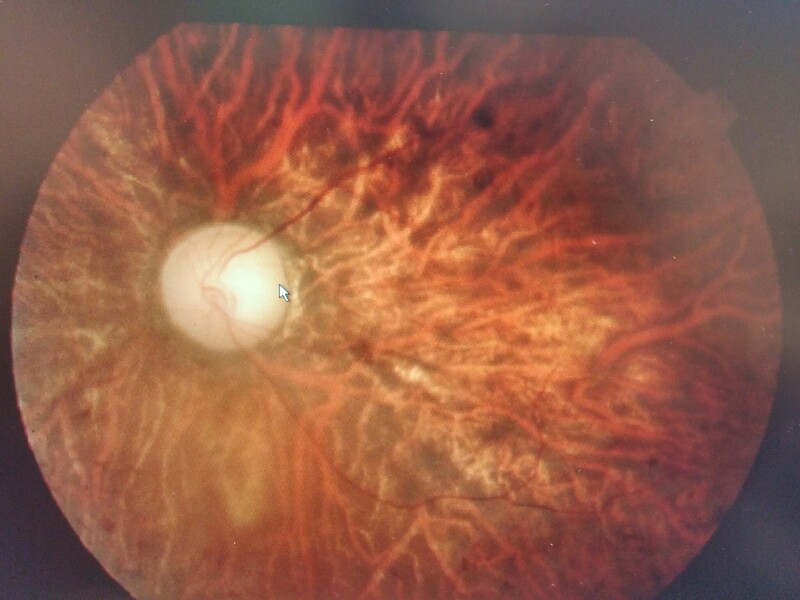 Ocular exam revealed CF vision OU, IOP 15 OU, normal anterior chamber and fundus apperance as shown in the attached pictures. 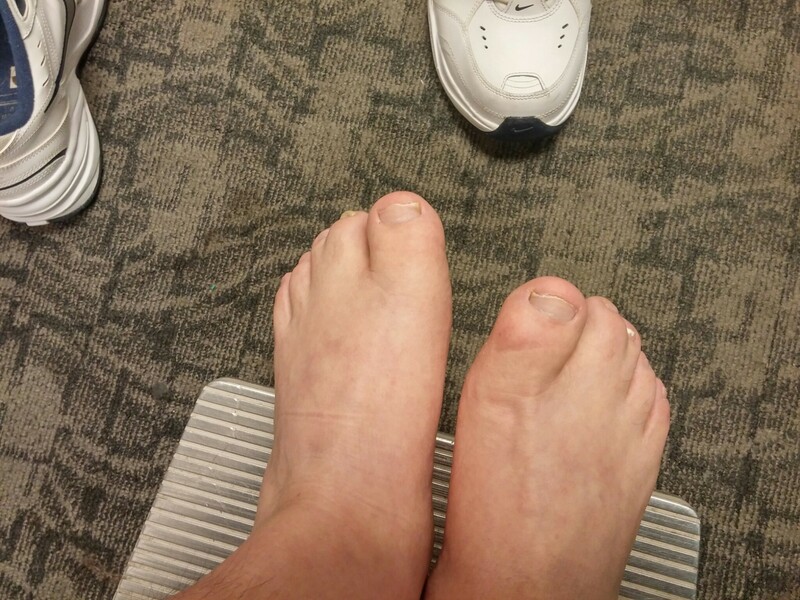 Physcical exam showed a short obese patient with conjoined toes, speech impairment and sub normal mentation. What is the diagnosis? What test would you order? How do you manage? Bardet–Biedl syndrome (BBS) is rare autosomal recessive disorder characterized by retinitis pigmentosa (seen in the photos), obesity, poly/syndactyly (usually of the 2-3 toes as shown in the photo), hypogonadism, renal failure and some times mental retardation. Note that BBS is distinct entity compared to Laurence–Moon syndrome (LMS) which is characterized by spastic paraplegia apart from RP, hypogonadism, polydactyly, mental retardation. Genetic testing can be done to identify the BBS gene which is related cilia malformation. 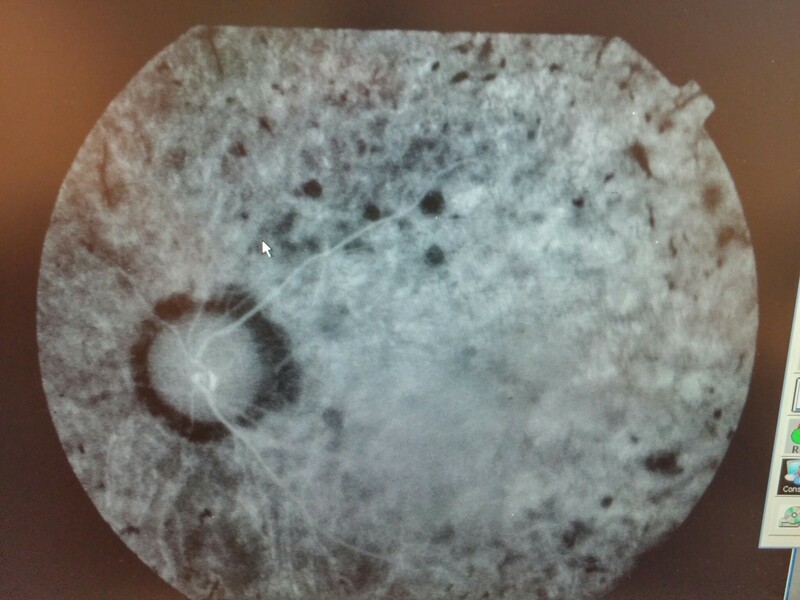 Management is symptomatic with low vision devices.